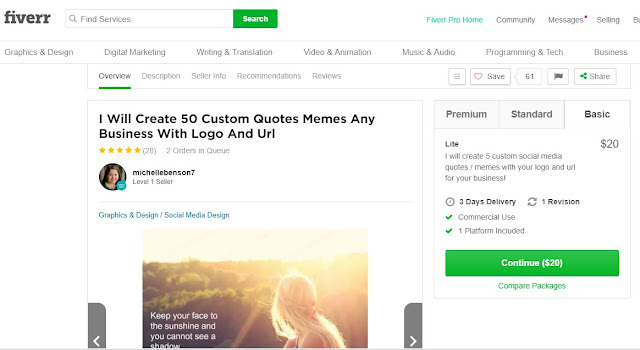 Fiverr is a place where you can sell your skill as a freelancer and earn money depending on how much time you devote on it. In this article, I m going to discuss and show few proofs about earning as a freelancer. According to me for freelancing on Fiverr is the most recommendable website where you can sell your skills and get work. But here one question must be going into your mind that I have no skills or how to identify my skill which I can sell on Fiverr as a freelancer. Don’t worry here I will explain what skills you can sell on Fiverr as a freelance. So let’s Jump on the topic. One of the easiest way to earn money as a freelancer on Fiverr by selling images. 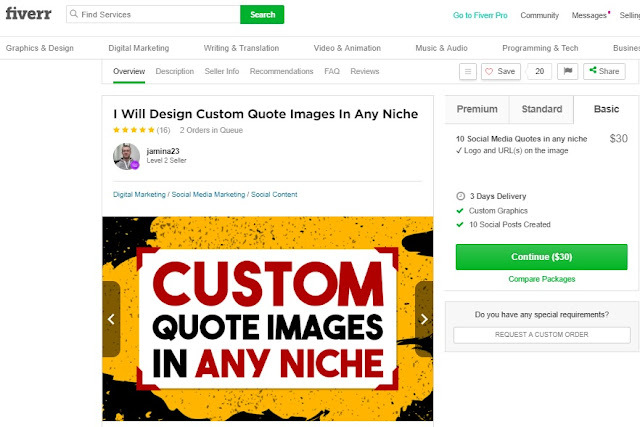 People are earning $100 to $500 per month just only selling images on Fiverr. Here are a few examples just look at the below Fiverr gigs images. So by these images, you must have got an idea and believe that its easiest way to use your skill on Fiverr and earn money on Fiverr as a freelancer by selling quote images. Now the question arises who will buy these images so here is your answer. Who Will buy Images on Fiverr? 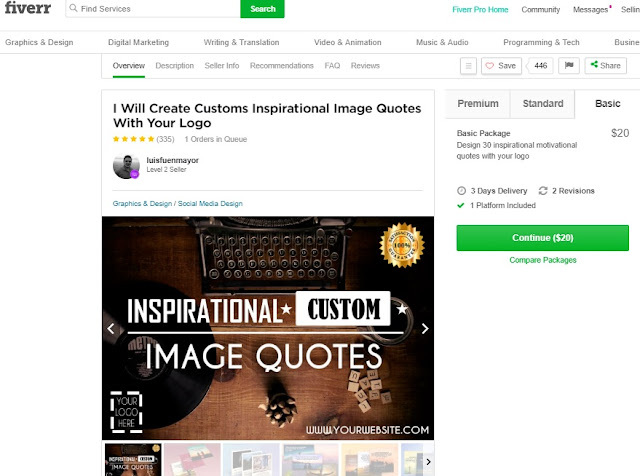 On Fiverr, people are selling images for facebook / Instagram / Pinterest / Twitter etc posting to gain the followers for increasing the online social presence and marketing brands. Here are the ideas and topics on which you can create images and quotes to start selling on Fiverr and create your gigs and earn money as a freelancer. For creating and finding images you may use few tools and website on google and make sure images must be royalty free. You may include client URL or Logo to whom you are selling these images. I hope this article will help you in starting your career as a freelancer and earn money online working from home. Do comment and let me know about this article and other ways to earn money as a freelancer on Fiverr. Let us know about this article One Of The Easy Way To Earn Money As Freelancer and please comment your views and thoughts too. Also, do visit our youtube channel and subscribe our channel Sab Kuch Online for more informative videos.